Gary Wadman is well-versed in multiple facets of business law. 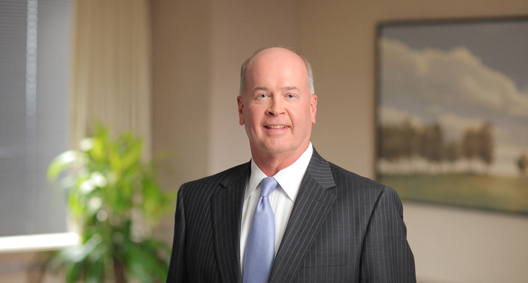 He practices in areas such as mergers and acquisitions involving public and privately held companies and working with partnerships and limited liability companies, with an emphasis on the healthcare industry. Gary also regularly advises boards of directors, board committees and company management regarding corporate matters. He often serves clients as outside general counsel, and his experience in transactional and other business matters gives him the knowledge to talk about a client’s legal and business needs on a broad scale. Clients trust Gary to perform in-depth analyses of issues and provide candid assessments for the development of the most effective strategies. Gary is the Managing Partner of BakerHostetler’s Columbus office. He previously served as a member of BakerHostetler’s Policy Committee, the governing body of the firm. Acts as outside general counsel to a privately held company that provides clinical home care to medically fragile children in several states throughout the United States. Leads a team of lawyers providing services in a wide range of substantive areas, including acquisitions, corporate governance, and regulatory and employment matters. Represented a public dental practice management company during its sale to a private equity firm in a “going private” transaction. Worked with the company’s board, its special committee and advisors to complete a high-premium transaction with an exclusive bidder in a difficult financing environment. Has represented this company since its formation in 1995. Acted as outside general counsel to a privately held regional hospital pharmacy management company for more than 20 years. Advised the special committee of a public company exploring its strategic alternatives, ultimately resulting in the disposition of a portion of its business. Represented a venture capital fund focused on investments in early-stage technology businesses from its formation, advising the fund’s board and management on organizational and governance matters. Has advised both issuers and investors in venture capital funding transactions. Has led teams of lawyers to complete acquisitions, sales, reorganizations and licensing transactions in a variety of industries, including healthcare, distribution and technology. Examples include acquisitions and reorganizations involving dental practice management companies and large group dental practices, sales of regional wholesale food distributors to a large national distributor, and asset purchases and sales and licensing transactions involving companies engaged in compact disc manufacturing and content distribution.